Dustin Johnson won the Saint Jude Classic and regained the number one ranking in golf. Jordan Spieth upgraded his rank by one position by replacing Spain’s John Rahm who is now placed 5th in the Men’s Golf rankings. Meanwhile, Tommy Fleetwood witnessed a dip in his rank as Paul Casey replaced him for the 11th position. Inbee Park is still the leader of women golf rankings followed by Ariya Jutanugarn and Lexi Thompson. 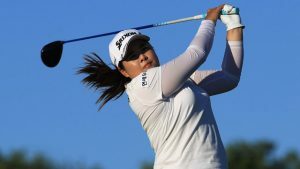 Moriya Jutanugarn moved up a rank to replace Australia’s Minjee Lee who is now placed at the 9th position in Women’s golf rankings. In Gee Chun of Korea also upgraded her rank by replacing Sweden’s Anna Nordqvist who is now placed at 14th position in the women’s Golf rankings.